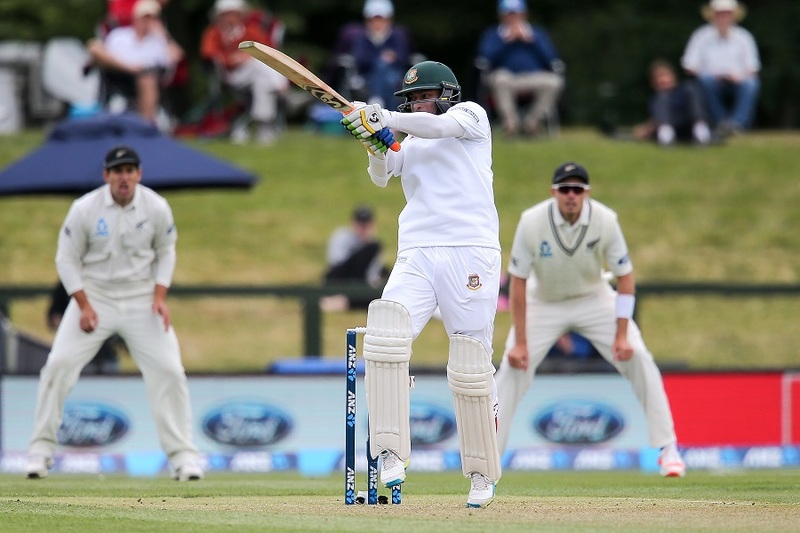 Soumya Sarkar wouldn’t be considered for this test if Imrul Kayes hadn’t missed out due to his strain in the thigh. However, he has done exceedingly well in the first session as the opening partner of the skipper, earned his maiden test fifty and helped Bangladesh to dominate utterly on Kiwi bowlers. Shakib al Hasan has accompanied him nicely as well with his score of 39 runs. Missing out of three top order batsmen has put Bangladesh under tremendous pressure and enforced to play with a naïve team. Nurul Hasan and Nazmul Hossain have got the caps today whereas Rubel has come to the squad replacing Subashis Roy. New Zealand skipper didn’t think twice to decide bowling first after seeing this fledgling batting order and good grassy pitch in Christchurch. Bangladesh stumbled early as Tamim departed on his personal score of 5. Mahmudullah has been promoted to number three but couldn’t continue his innings after 19. Bangladesh lost their second wicket on just 38 runs. Soumya was majestic to charge the bowlers after that while Shakib was also putting pressure on them from the other end. Together they have put 90 runs so far at 5.40 rate per over.